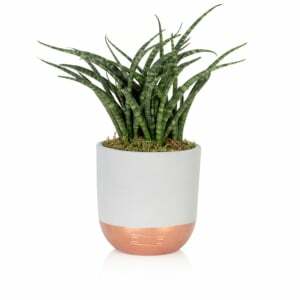 The Haworthias are an attractive range of succulents, largely made up of a plants with fleshy green leaves and often distinctive in appearance due to their contrasting white stripes or dots. 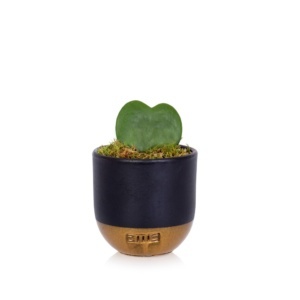 Pot and plant come as a perfect pair! 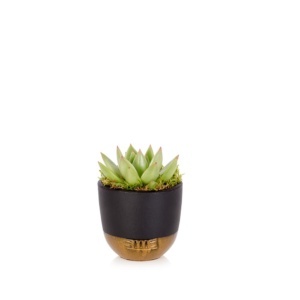 There is nothing cuter than a little Haworthia, especially when it is in mini! These small, low growing plants come in an array of greens, and have leaf patterns and sizes that really add interest to this variety. Planted into our gorgeous grey and copper pot and finished with a covering of moss, these little succulents really can help to create a bit of drama and interest to your home. 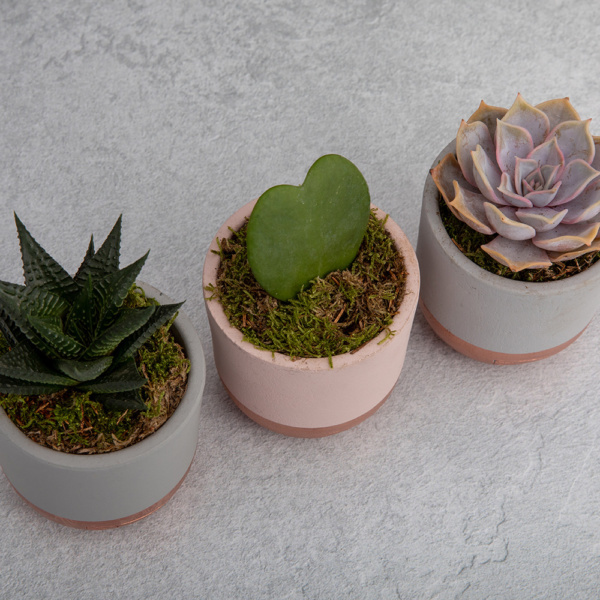 Paired with its larger brother, this duo looks super cute and on trend when added to any home. Do not water the leaves. A tiny bit of water can be put under the leaves, straight in to the soil. But we do not recommended doing this more than once a month. Hi Adam. We are so sorry to hear this. 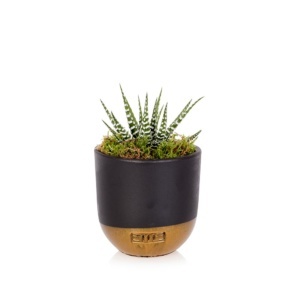 We would love to know more, as this succulent is a very long lasting variety and pretty tough! 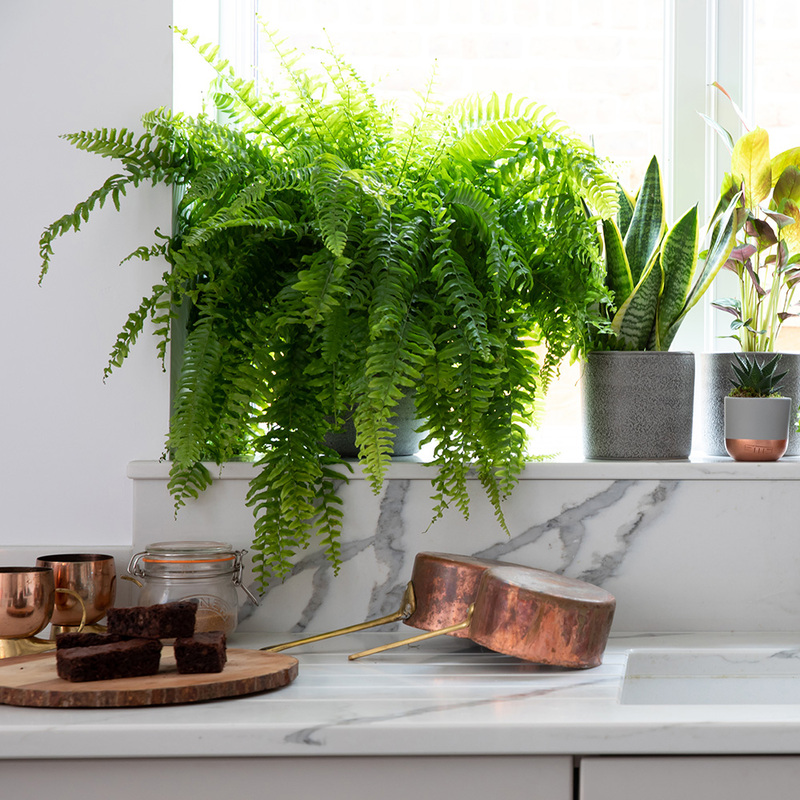 Prehaps you could e-mail us at hello@thelittlebotanical.com and send us some photos as well as information on which John Lewis and when you purchased? Thanks so much. Team TLB. I’m the most interesting succulent there is – its good to look a bit different! Choose me to join you at your home and you won’t be disappointed.